In a sauce pan, bring the water to a boil. Once boiling add in the Jello and stir until it is completely dissolved, then stir 2 more minutes. Add in the vodka and stir. Pour mixture into clear plastic shot glasses and chill. 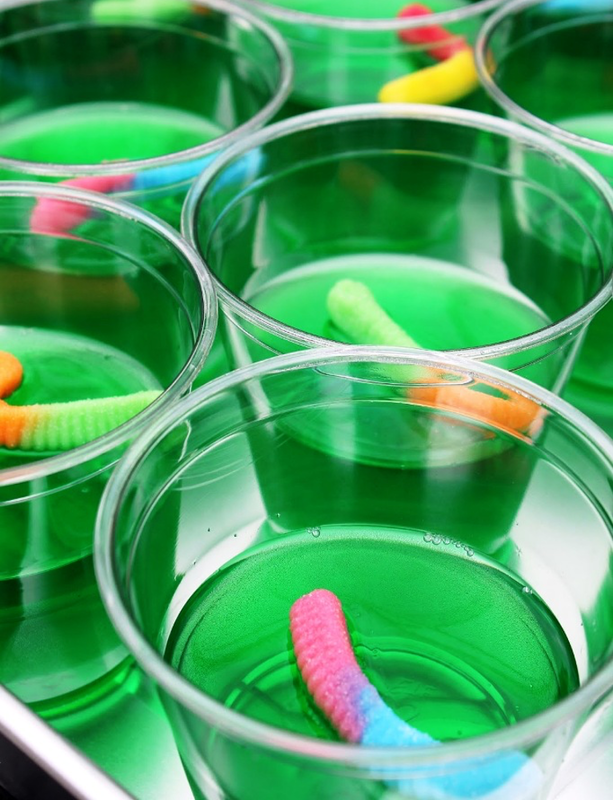 Before they get firm, add a gummy worm to each glass. Then let them firm up.